Rooted in a century of Palestinian civil resistance, and inspired by the anti-apartheid struggle, the campaign crowned earlier, partial boycotts to present a comprehensive approach to realising Palestinian self-determination: unifying Palestinians inside historic Palestine and in exile in the face of accelerating fragmentation. BDS avoids the prescription of any particular political formula and insists, instead, on realising the basic, UN-sanctioned rights that correspond to the three main segments of the Palestinian people: ending Israel’s occupation and colonisation of all Arab lands occupied since 1967; ending racial discrimination against its Palestinian citizens; and recognising the right of Palestinian refugees to return to their homes, as stipulated in UN resolution 194. Created and guided by Palestinians, BDS opposes all forms of racism, including antisemitism, and is anchored in the universal principles of freedom, justice and equal rights that motivated the anti-apartheid and US civil rights struggles. Characterising Israel’s legalised system of discrimination as apartheid – as was done by Tutu, Jimmy Carter and even a former Israeli attorney general – does not equate Israel with South Africa. No two oppressive regimes are identical. Rather, it asserts that Israel’s bestowal of rights and privileges according to ethnic and religious criteria fits the UN-adopted definition of apartheid. BDS has seen unprecedented growth after the war of aggression on Gaza and the flotilla attack. People of conscience round the world seem to have crossed a threshold, resorting to pressure, not appeasement or “constructive engagement”, to end Israel’s impunity and western collusion in maintaining its status as a state above the law. “Besiege your siege” – the cry of the Palestinian poet Mahmoud Darwish – acquires a new meaning in this context. Since convincing a colonial power to heed moral pleas for justice is, at best, delusional, many now understand the need to “besiege” Israel though boycotts, raising the price of its oppression. BDS campaigners have successfully lobbied financial institutions in Scandinavia, Germany and elsewhere to divest from companies that are complicit in Israel’s violations of international law. Several international trade unions have endorsed the boycott. Following the attack on the flotilla, dockworkers’ unions in Sweden, India, Turkey and the US heeded an appeal by Palestinian unions to block offloading Israeli ships. Endorsements of BDS by cultural figures such as John Berger, Naomi Klein, Iain Banks and Alice Walker, and the spate of cancellations of events in Israel by artists including Meg Ryan, Elvis Costello, Gil Scott-Heron and the Pixies have raised the movement’s international profile, bringing it closer to the western mainstream. Scepticism about its potential has been put to rest. 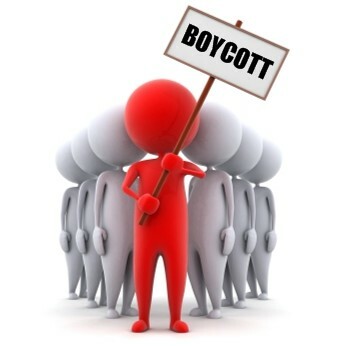 Boycott from Within, a significant protest movement in Israel today, was formed in 2009 adopting the Palestinian BDS call. A bill that would impose heavy fines on Israelis who initiate or incite boycotts against Israel has recently passed an initial reading at the Knesset. This underlines Israel’s fears of the global reach and impact of BDS as a non-violent, morally consistent campaign for justice. In many ways, it confirms that the Palestinian “South Africa moment” has arrived.